Renee Hoeksel is currently a Professor in the Washington State University College of Nursing. Her clinical practice includes incorporating Best Practices in Nursing Staff Development in acute care facilities within the greater Southwest Washington/Portland Oregon area. 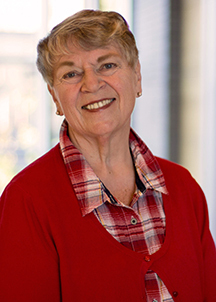 Her past clinical practice included more than 30 years in adult critical care nursing. She currently serves on advisory boards to several Associate Degree and RN-BSN nursing programs. 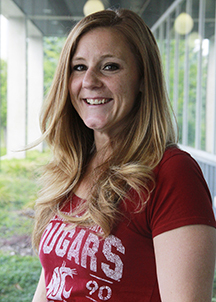 She is a member of the research team for the Academic Progression in Nursing Grants I & II funded by the Robert Wood Johnson Foundation through the Washington Center for Nursing on Best Practices in Advancing RN-BSN Education In Washington State. Hoeksel,R., Mason,A. and Dekker,L. (2017). Innovative Intensive RN-BSN Hybrid Model of Program Delivery. Communicating Nursing Research, 50, 45. Girard, S., Hoeksel, R., Vandermause, R. and Eddy.L. (2017) Experiences of Registered Nurses Who Voluntarily Withdraw From Their BSN Program. The Journal of Nursing Education, 56(5), 260-265. Eddy, L., Hoeksel, R., Fitzgerald, C., and Doutrich, D. (2017) Promising Practices in Advancement of Academic Nurse Educators Careers: Developing Scholarship from Program Grants. (in press Nursing Education Perspectives). Hayes, V., Savage, L., Burton, D., and Hoeksel, R. (2017) Positioning a 5-state Nursing Workforce to Flourish by Advancing Baccalaureate Nursing Education. Nursing Administration Quarterly, 41(2), 170-177. Hoeksel,R., Baroni,M., Choate,L. and Buenzli,W. (2016). Washington State Direct Transfer Agreement: Experiences of Early Adopting Schools. Communicating Nursing Research, 49, 51. Doutrich,D., Dekker,L., Spuck,J., and Hoeksel,R. (2014). Identity, Ethics, and Cultural Safety: Strategies for Change. Whitireia Nursing & Health Journal;21, 15-21. Gwinn,L., Marks,A., & Hoeksel, R. (2014). New nurses’ hopes and expectations transistioning into nursing practice. Virginia Henderson Global Nursing e-Repository. http: //hdl.handle.net/10755/313711. Doutrich,D., Dekker,L., Rasmor, M., Hoeksel,R., Ludena, M., and Butler, L. (2014) Finding Safety and Authenticity: Becoming a Trasnformative Nurse Educator. Communicating Nursing Research, 47, 379. Gwinn, L., Marks, A., and Hoeksel,R. (2013). New nurses’ hopes and expectations transitioning into nursing practice II. Communicating Nursing Research, 46, 518. Dekker,L., Doutrich, D., Spuck, J., and Hoeksel, R. (2013). Requiring reflection: Abuse of power vs. Fostering professional growth. Communicating Nursing Research, 46, 549.